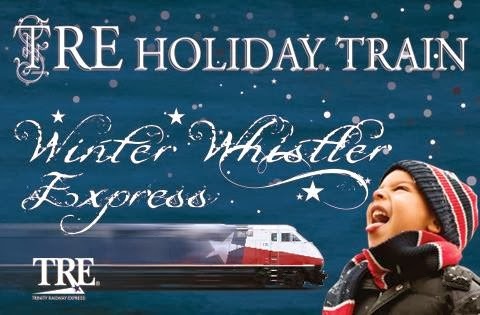 Family Fun on TRE Holiday Train "Winter Whistler Express" Debuting (11/29)! Grab the family and hop aboard the Trinity Railway Winter Whistler Express for a Holiday ride they will never forget. Beginning on November 29th & Every Saturday, November 30th- December 21st, see the TRE Railway Express Transformed Into A Winter Wonderland Filled With Holiday Fun for All Ages! All of this for the regular price of train fare! Visit HERE for route schedules and ticket pricing. Previous post50% Off 2013 Six Flags Holiday In the Park Tickets Thru (12/1)! Next post$0.57 2-Liter Soda @ Dollar General Nov. 21-23!